Polka! Press is a collective of artists and designers who work alongside one another to produce a diverse mixture of original printed artworks. 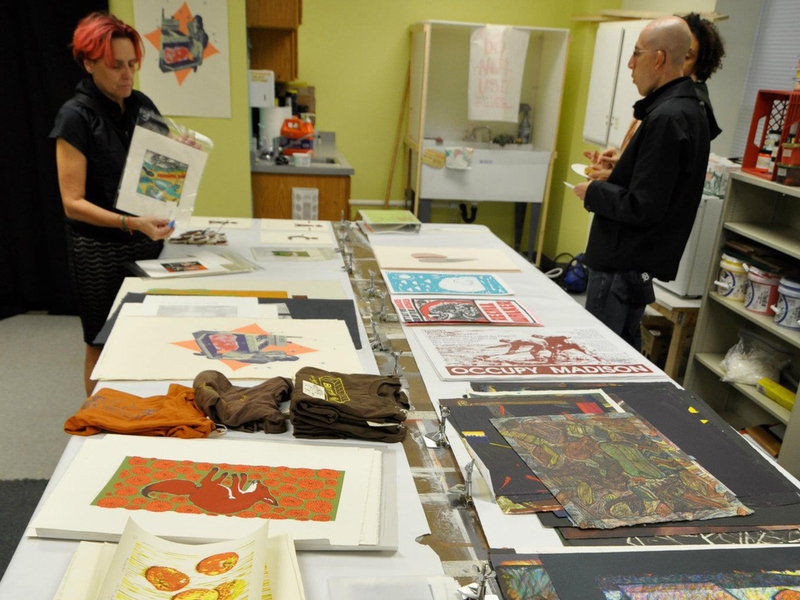 We promote a vibrant local printmaking culture by offering access to printmaking facilities and providing educational opportunities to the Madison community. Heather Buechler and Tracy Honn co-founded Polka! Press (first called the Madison Print Coop) in the spring of 2010 when they put out a call for public meetings to plan the launch of a shared printing space. 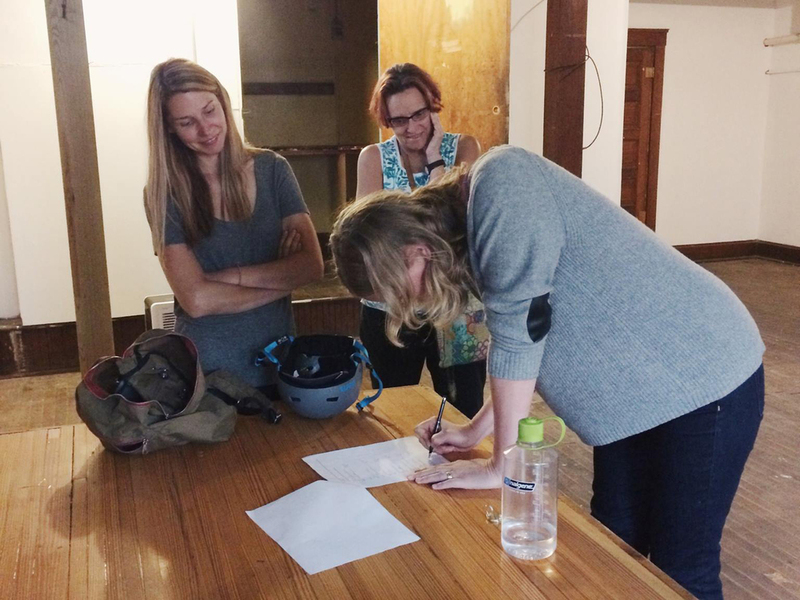 In its first year, before we opened the doors on the Coop's first home on Atwood Avenue, a core group of determined area printers and designers, Erica Hess, Emily Maryniak, Sara Wrzesinski, Christina King, and Max White--with help from many others—kept the dream alive.